DISTURBING though it may be, it is hardly surprising that internet access in Pakistan is being selectively filtered — ‘censored’ is perhaps the more accurate word here. A research report released last week regarding random tests that involved 22 internet service providers in the country bore witness to the fact that at least 210 URLs have been blocked by 22 ISPs. Data from 2014 to 2017 was examined in a study carried out by the Open Observatory of Network Interference and Bytes for All Pakistan. The research is part of an ongoing effort to examine internet censorship in over 200 countries through collection and analysis of network measurements. The report says: “Geopolitical power dynamics appear to be reinforced through the blocking of sites run by ethnic minority groups.” Considering the state’s penchant for restricting internet freedom, it is highly likely that this is only the tip of the iceberg. As an expert at the Digital Rights Foundation pointed out, the filtration technology being used to achieve this end has been there for a while. “I’m sure if you test all of those available in the country, there must be several hundred URLs blocked,” she said. There can be little argument that the laws of the land must be complied with. Yet it is also a fact that there needs to be more debate and review about the quality and relevance of some of the legislation on the statute books. 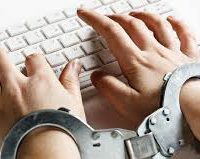 In terms of internet censorship, the state needs to understand the realities of the modern world and the direction in which technology is taking us. Censorship is ultimately a dead-end tactic; the freedom of expression, one way or the other, is a certainty. Outmoded methods of controlling it are bound to fail; it is a far better idea for the state to be tolerant of debate and dissenting opinions on the internet.